GBC Swingline ShredMaster SC170 Light-Duty Strip-Cut Shredder, 12 Sheet Capacity! 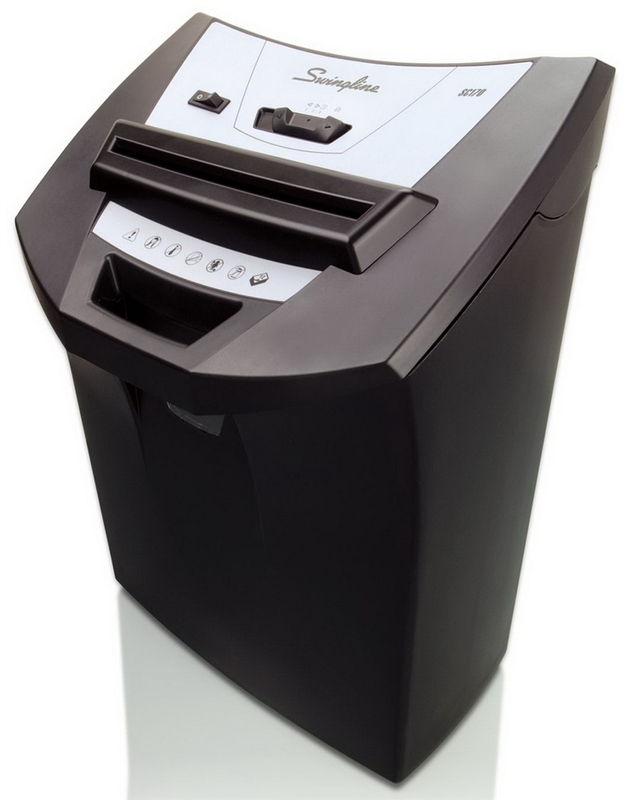 This powerful personal shredder is great for the home or home office. Unique, modern ergonomic design with an angled head eliminates the need to pull the shredder out from under the desk. Features auto start/stop for convenient use and manual reverse to clear jams. A built-in safety lock provides extra protection in the home environment. 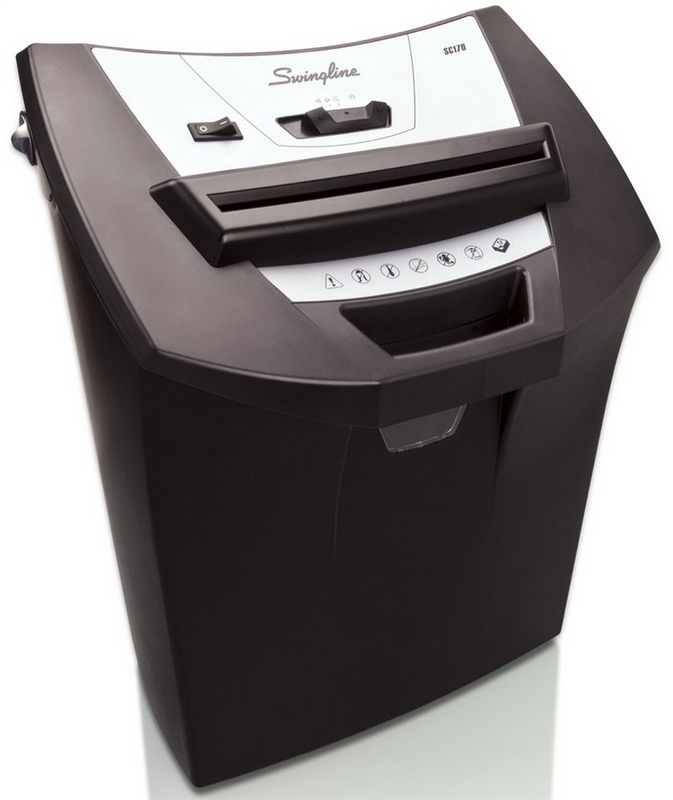 Basket design includes integrated handle to facilitate easy emptying of shred waste.